Previous: Introduction Next: Thinking Functionally, the pure game. Functional Programming: What? and Why? "Functional programming is a 'declarative' 'paradigm' of building software by 'composing' 'pure functions', avoiding 'shared state', 'mutable data' and 'side-effects'. Placing the mayor emphasis on the use of functions to come up with a result; the goal, rather, is to 'abstract control flows and operations on data with these functions and threaten them as building blocks' by relying on 'JS first-class' and 'higher-order functions' to improve the modularity, predictability and reusability of your code. In simple terms, it is a way of thinking about software construction, based on some development style that follow principles. compose: evaluates inside out, <-right-to-left ordown-top`. pipe: evaluates outside in, left-to-right-> or top-down. RxJS pipe method (rxjs/Rx 5.5+ pipeable operators) These operators are pure functions that return the Observable result of all of the operators having been called in the order they were passed in. This can be used as standalone operators instead of methods on an observable. // In this model, when composing functions f,g and h the resulting composite (f ∘ g ∘ h)(x) is equivalent to f(g(h(x))). // 1) The expressions for each decorator are evaluated top-to-bottom. // 2) The 'results are then called as functions' from bottom-to-top. // our custom pure functions operators: nice & easy! Pipeable operator List Pipeable operator List. Given the same input, always return the same output. Pure functions are tested by building a table of input values and output expectations. // impure: because it reads/modifies an external variable, counter, which isn’t local to the function’s scope. Change order:The problem with shared state is that in order to understand the effects of a function, you have to know the entire history of every shared variable that the function uses or affects. An mutable object is any object which can be modified after it's created. An immutable value or object cannot be changed, so every update creates new value, leaving the old one untouched. Mutating data can cause unintended side-effects. A side effect is a change of system state or observable interaction with the outside world that occurs during the calculation of a result. Anything that rely on current time, it is impure. // If you were to change x, then addx would output a different value for the same inputs. "abstracting control flows and operations on data with these functions and threaten them as building blocks"
Abstractions hide details (abstract me of the detail) and give us the ability to talk about problems at a higher (or more abstract) level. This allow us to have Function Composition: The fact that we can take a function and put into another function, allow us to compose a lot of small functions into bigger functions. Functions Stateless: With Pure functions, functions doesn’t have an internal state. It means that all operations it performs are not affected by that state and given the same input parameters and produces the same deterministic output. Deterministic: The great benefit of pure functions is that their output is deterministic: given an input it will always return the same value. This characteristic makes them extremely easy to debug. 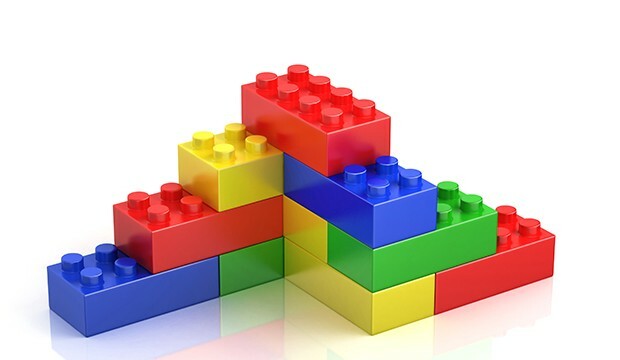 Improve the modularity and Reusability: FP treats functions as building blocks by relying on: first-class, higher-order functions to improve the modularity and reusability of your code. Easy to debug Due to active avoidance of data mutation. Minimizing parts The logic is minimal: less logic = less bugs. Next: Thinking Functionally, the pure game.